Reissue of the classic three first 7“s by SPK „Factory!, „Mekano“, and „No More“ originally released 1979. 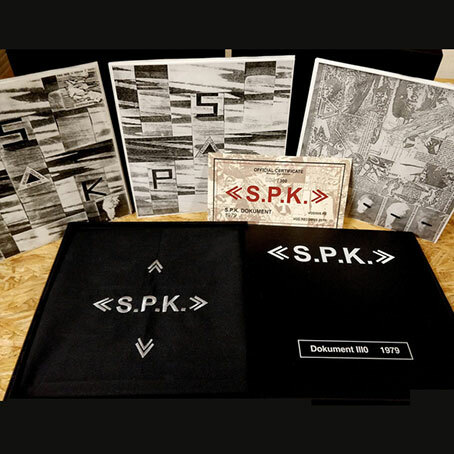 Silkscreened black cloth-like foldout box embraced with a coined grave-ribbon with S.P.K. logo. The 7inches coming in the original 1979 cover artwork. Comes with additional cloth patch with S.P.K. logo and numbered certificate. Limited edtion of 200 copies, 100 each in black and grey folder.